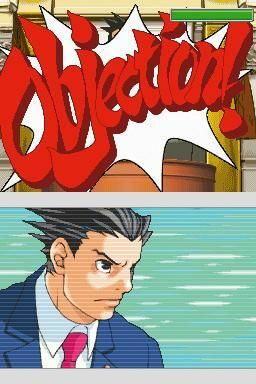 Phoenix Wright, you stand before us today accused of gross negligence in light of past criticisms. Twice have you stood before this court and twice have you ignored us. Your twists and turns dash rationality to pieces like a logic piñata and yet, for all your snakelike judicial journeys, you are just as guilty of showing your hand too early, forcing us to take ludicrous routes to an answer we spotted from minute one. You punish perceptive players - surely those most likely to invest in a text adventure - with nonsensical hoop jumping. What wouldn’t we do for a stenographer to tidy up your courtroom mess? No objections to this sequel - it ties up the entire series in a neat little crime procedural that does Law and Order fans proud. And it will soon be on WiiWare.